Head over to Macys.com to score some great deals on jewelry! Order these Style & Co. Ice Blue Shell Drop Earrings on sale for $9.25! Regularly $18.50, use promo code FRIEND to get an extra 25% off! Final Price: $6.94! Ships FREE with $25 purchase or opt for :fr store pickup (if available to you)! 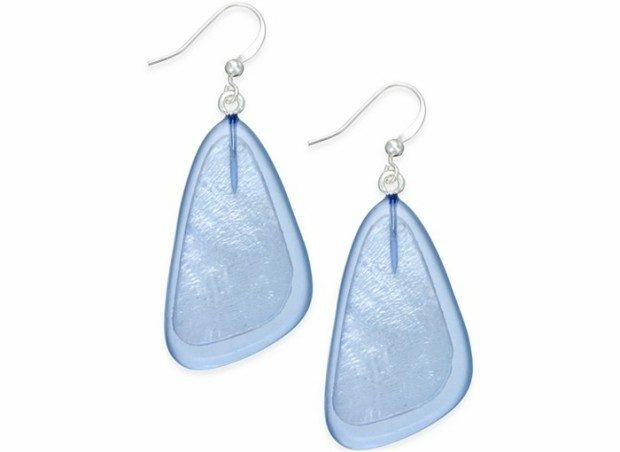 Frosted blue shells offer serene color on these Style & Co. drop earrings. Crafted in silver-tone mixed metal. Approximate drop: 1-5/8 inches.